I was blown away by how much water is lost due to evaporation. Normally pools see ¼ – ½ inch loss of water per day due to evaporation. This is roughly 2 – 4 inches per week. For a normal sized pool you will loose 25,000 to 50,000 gallons of water per year due to evaporation. This means I was putting a hose in the pool every 7-10 days to fill the pool. On several occasions I went out to the pool and I was sure I had a leak. I ended up doing the bucket test. This is a test where you place a bucket on your deck and fill it with water. You then mark the water level in your skimmer. After a few days you check to see if the level drop in the bucket is the same for the pool. If it is the same then it is due to evaporation and not a leak. The bucket test confirmed my water loss was due to evaporation. After a few times of forgetting to turn off the hose and flooding the pool deck, running the skimmers dry and just the hassle of pulling out the hose I decided to invest in an Automatic Pool Leveler. This is my favorite equipment that I have purchased for the pool. Common factors which cause increased evaporation are hot temperatures, pool heating and strong winds. One last item which can cause water loss is excessive filter backwashing. I have been really happy with my Pool Salt System, in fact, it is one of the favorite pieces of equipment I have on my pool. A Pool Salt System Works by Adding Salt to Your Pool and then the saltwater passes through an electrode where chlorine is produced and it is sent back to your pool. Since salt does not dissolve out of water you only need to add salt when you experience heavy rain, water is splashed out of the pool or you have water loss due to evaporation. My estimate was that I would add a “few bags” of salt at the beginning of the year and then add a few bags throughout the year. Since evaporation in Florida occurs often because of our excessive heat this means I have added quite a bit more salt than I originally assumed. 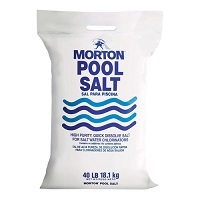 I have a pretty large pool (coming in at just under 40,000 gallons) and I would estimate I have added 30 bags of salt in the span of a year. This is quite a bit more than my original estimate of “a few bags”. Even with this larger amount of salt needed to maintain a pool I would still highly recommend a salt system. Just know that the cost savings over traditional chlorine may be a little less since you have the cost of adding salt to the pool throughout the year. When you have a salt system, your pool water’s pH levels will tend to increase. High pH levels lead to scaling on the pool tiles, pool equipment and pool walls. 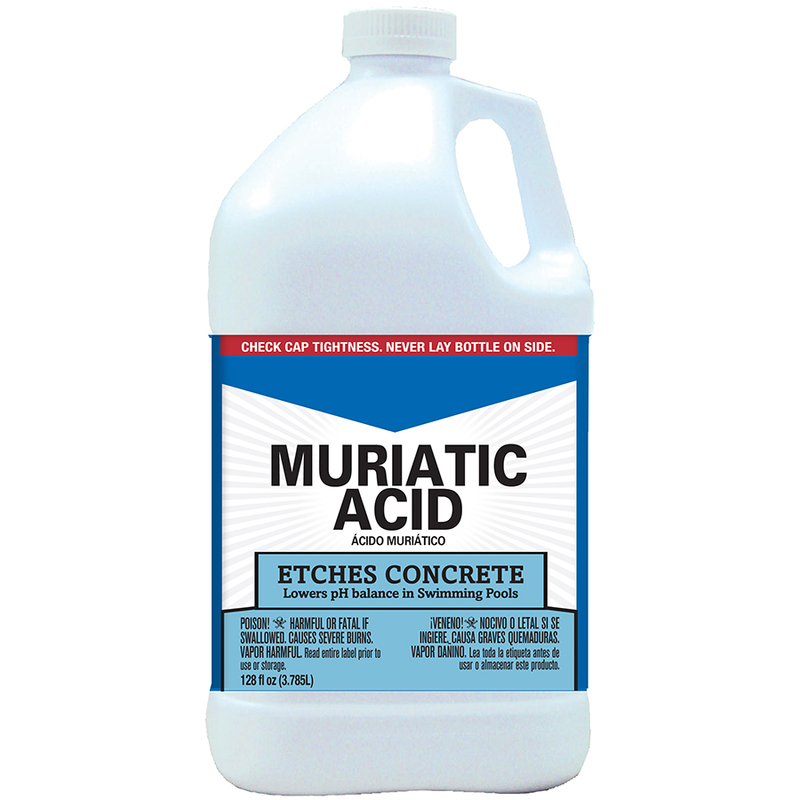 To combat this increase of pH you add muriatic acid to the pool to decrease your pH levels. To maintain the proper pH levels in my pool I need to add roughly one gallon of acid per week which is much higher than I anticipated. Normally I will test my pool water every Sunday and without fail my pH level is high. I then add acid to bring the pH level down to the ideal range of 7.2. I did add an automatic acid dispenser to the pool to automate the process of adding acid to the pool, but it has not been without problems. The idea is good, but there are a few kinks that need to be worked out. The main issue I had is that the probe which measures the acid did not read accurately so the dispenser would not switch on to dispense acid. After many failed attempts to fix the acid dispenser I have gone back to adding acid the old-fashioned way – by hand. I truly believe the best way to learn the ins and outs of a product is by owning it and a pool has been no exception. I hope the lessons I have learned from owning a pool can help you in some way. If you have any lessons that you have learned from owning your pool we would love to hear from you, so feel free to post them to the comments section below. I am in the same boat as you. We built our first pool after 35 years in the pool construction business. I have seen just the opposite. We have only 10,200 gallons and only placed 1 bag of salt in a full year. You don’t loose salt due to evaporation, the salt stays in the water. The only time you loose salt is when you waist water, (back washing) or heavy rain. I have carefully documented my cost and I spent $40.00 in the whole of 2014. One gallon of acid, one bag of salt and one gallon of scale tech. That’s it! I have not completely ruled out the possibility that I have a leak and the more I think about I’m getting more convinced that I do have a leak. I did have a leak detection come out to my pool with camera’s and some pretty advanced leak detection tools and they stated I did not have a leak, but they could have missed it. Since salt does not evaporate out of water it does seem that is due to a leak…..my water level is dropping and then I’m refilling the pool with fresh water which is diluting the concentration of salt in my pool below 3,000 Parts Per Million (PPM) resulting in me needing to add additional salt. I need to revisit why the water is dropping in the pool is this from normal water loss due to evaporation or am I having a larger amount of water loss then most due to a leak? I am going to have the pool looked at again for a leak to see if anything shows up and I will post my findings here. Check the backwash exit pipe. Water might be leaking out because the gasket is crimped in the selector valve or the gasket needs to be replaced. That solved my problem of water loss. A crimped gasket that allowed water to leak out. We lost a great amount of water as well and it took us a while to figure out where it went. To make a long story short……we lost the water due to a faulty spider gasket. After we replaced it…..all is well……no more water loss other than from evaporation or occational back wash. I enjoyed reading your article. It is Spot On! My husband has been working doing pool repairs and service for over 20 years, but did not actually own a pool until we move to Florida in June, and purchased a home with a pool Spa combo. We are at constant odds over how to maintain our own pool. I am the primary caretaker of our family pool. He works 40 hours a week installing pumps and heaters and salt systems and repairing ones that have broken. He is the best of the best at his job, but when it comes to actual pool maintenance, he falls short. I was really happy to read your experience with evaporation. Just this past fall I could have sworn we had a pool leak because of how much water we were losing overnight. I spent endless hours measuring water at different times of the day. Taking pictures for comparison. Whatever I could think of. I just could not believe that the water was evaporating out of the pool at that level. Apparently it was LOL! I am glad that I am not the only one who experienced this brief level of insanity. Thanks again a great, and totally relatable article. Good Luck, and thanks for your messages. Is that cheap to do add chemical ? Yes, they are available at your local pool or hardware store. Follow the instructions on the bottle and you are set. No. It is not cheap. I seem to need to put acid in every few days. In Southern California. 20,000 gallon pool about. Possibly a bit less. I hate to say this but if you are adding that much salt and acid, you do have a leak. Salt does not evaporate only water does. now the splashing of water and backwashing and things that you actually take water out of your pool you will lose salt, but it shouldn’t be at the rate you are adding it. I have a 20,000 gallon pool and I have to add about 1/2 a bag through the course of the season. I live in New Mexico where the evaporation rate is probably way higher than it is in Florida. Plus if you cover the pool when not in use you lose a heck of a lot less to evaporation. Also I don’t know this for a fact but I don’t think salt affects the PH at all. Now the gunite (concrete) will leach into the pool that affects the PH but a gallon a week? I use about a gallon through the course of a year. The more I think about this I do agree with you that I may have a leak. I did have a leak detection company come out to the pool a while back and they did not spot anything. In my case I get my pool to 3,000 Parts Per Million of salt and as the water lowers my auto fill kicks in to add fresh water to the pool thus diluting the concentration of salt 2,200 PPM, the drop from 3,000 to 2,200 PPM is over a 30-45 day time period or so. I now need to find out what is causing the water loss, normal evaporation or a leak? Since salt does not leave the pool through evaporation it does seem as the culprit is a leak. I believe the same issue is plaguing my pH levels, the water loss means the auto fill kicks in and adds fresh water to the pool, my fresh water source is from a well which is hard water and very alkaline which drives up the pH level I then have to add the larger amounts of acid to lower the pH. As I write this comment I am even more convinced that I may have a leak 😉 Our research online has identified many studies which do show that pool salt systems do raise the pH in your pool, this post on “Trouble-free Pool” does a good job Explaining Why Pool Salt Systems Raise Your pH. Greg thanks for your comment and I will let you know what transpires. One thing I learned early in my 20 years as a pool owner was cap off the overflow, and drill a 1/2 inch hole near the top of the cap. The overflow opening had internal threads, and I ground down a PVC cap to remove the hex head corners, and just screwed it in. Then I drilled a 1/2 hole near the top. You can barely see the cap behind the grate. The original overflow on my pool was slightly below the ideal water line, so it was easy to accidentally dilute your pool as you fill it, with the excess just going out the overflow, even with an auto-filler if not set perfect. On those rare occasions I need to remove water due to too much rain, I just remove some with a hose connected to a valve I put on my cartridge filter. Now, it will drain more slowly, starting about 2 inches higher than before through the smaller 1/2 inch hole in the cap, about an inch from the top of the coping. This gave me a water reserve buffer, and cut down on my water bill, as most water that would normally overflow is saved, then it later evaporates off: those extra few inches are conserved instead of overflowing, and it also help to cut down on diluting my balance. Of course, this method might depend on your pool setup, as they say YMMV, but I thought I would point this out as it may be a useful tip for others. And yes, this can cut down on skimmer efficiency if the water level is too high, but everything is a trade-off. If you change your mind, remove the cap! Or make the hole lower, a different size, whatever it is that works best for your conditions. You can also rotate the cap out a little to turn the hole lower, since being 100% sealed is not a big concern when under very little water pressure. 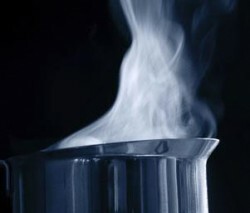 If you adding so much salts and chemicals, it is due to a leak. Check the pipes (before pump and after pump) as well if the pool is not leaking. Other culprits are around the skimmer, jets, drains and lights. My pool was leaking through the conduit bringing in the electricity to the lights (was not sealed). I have the same issues. To maintain, I add a gallon of muriatic acid and one bag of salt once a week during the summer. Maybe 1 bag a month in the winter, but acid need remains constant throughout the year. I did pool maintenance as a side job years ago (and really enjoyed it – it SURE beat cutting grass!!! LOL), anyhow, I had 9 pools around Central Florida that I would service once a week, and I learned that pools are like people… every single one is different. My most problematic pool was when I rented a house in Thailand for a couple years, and it was a small pool 12 X 24 feet X 5 feet deep end to end (much to the chagrin of my 4′ 11” wife). I had to constantly shock it about twice a week. Every pool is unique and assumes a personality of its own for sure. I am interested to know, why your pool Thailand required so much pool shock? Is that common for pools in that area or were there other circumstances in play? My guess is that one thing is that the weather in Thailand is either hot and wet (LOTS of rain) or hot and dry. The wet season diluted the water, and the dry season caused a lot of evaporation, so I had the hose in the pool a lot. It also had some rather poor engineering in the chlorination department as well = it didn’t have a chlorination system. I had to put the chlorine tablets in the basket filter, or use a float filter with the tablets in it, or just toss a couple in. I also wonder how UV rays affect chlorine’s lifespan, as I was pretty close to the equator, about as far south as Panama is. PS – Thanks for the articles. I enjoy reading them. Thanks for the explanation, Ken. My first guess was the tropical weather (rain and chlorine burn off) I did not consider not having a chlorinator on the pool, yikes! And to answer your question, sunlight does have an effect on chlorine levels. The sun will burn off chlorine if it is not protected with a stabilizing agent called cyanuric acid. Stabilizer is usually included in chlorine pucks but against the extreme conditions of a jungle climate, it likely didn’t stand a chance. I have a gunite pool 14×24 5 ft deep. The first 3 years it sparkled with the salt system very little matience. Now I have to shock it two times per week or algaee grows all over the walls. It’s driving me crazy. The trees around the pool have grown a lot. I feel it may be from the leave particles blowing in. Have you had your pool water tested at a local pool store? Post the results so we can see what your water chemistry is like. There may be a CYA issue or something else causing algae bloom. I was wondering if your happy with the size of your pool 14 x 24′ I’m thinking of a 12 x 24 die to septic location in my yard. Can you please let me know if you had any regret on you pool size. Check the spider gasket in filter’s multiport valve. If the gasket is old, torn or kinked., it will allow water to continually flow out lowering your water level in pool. Just want to say that salt does not evaporate – the water does. The salt will be depleted by the conversion of sodium chloride to chlorine. So, the salt level in the pool may remain constant, rise or fall. What occurs in a pool is dependent on the rate of water evaporation AND the rate of salt usage. Salt does not get depleted from the creation of chlorine; the sodium chloride molecule is broken apart to make chlorine but the two rejoin eventually. How do I get rid of the white marks on my tiles in the pool? The white marks or stain may be scaling caused by excessive calcium. To get rid of the stain: fill a spray bottle 1 part muriatic acid and four parts water, spray the stains with the solution, then scrub with a soft brush to wipeout the stubborn stains. 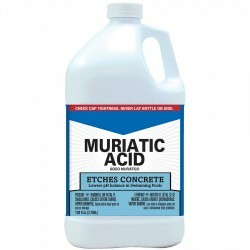 But if the muriatic acid does not work, I suggest a Stain ID kit to figure out the exact makeup of the stain, so you can figure out how to tackle it. 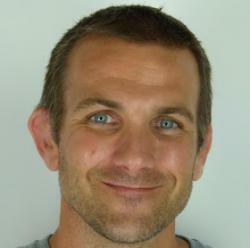 Patrick – salt does not leave the pool with evaporation – the concentration of salt would actually rise if it’s only due evaporation. Then when you add fresh water it would go back down but you should not have to add much salt. Is it normal to have a pool leak within a year of construction? No, it is not normal but it can happen. Have the installer come out and fix the issue. They should have some kind of warranty on their work. It depends on the temperature and the amount of rainfall. If you only get a half inch of rain in a week and the weather has been warm, then the two may offset. Unless you see a drastic change in water level and/or you need to top off your pool every couple of days I would leave it be. I have a new 20,000 gallon pool. A leak was confirmed in the skimmer and fixed. I am now filling my pool twice a month in the winter time (60-70 degree weather) in Texas. It drops about 3-4 inches over 10 days. I had the company come back who tested and said we don’t have a leak. We do have a lot of wind where we live. Does it seem accurate that we are losing roughly 1.5 inches weekly? It isn’t even summertime yet. Concerned I still have a leak. I plan on doing the bucket test after it stops raining. Thanks. Water should not be evaporating that fast in Winter. We are in Florida, but we do not need to fill it up that much. But, we get more rain than you. Have you tried using drops of dye in the pool to find leak in the pool basin? With the pump turned off a few drops of food coloring dye to your pool at a few location in your pool. If there is a leak in the basin, the dye will be drawn to it. What are your thoughts on adding stabilizers? I have a 30K saltwater pool which I had put in five years ago. I have seen the same high ph readings in the past but this year I added ph minus and my pool is currently reading on the lower end of normal ph. I have resisted putting in stabilizers as I have heard that once they are added they accumulate and can only be removed by draining the water. I am definitely at the low end of the stabilizer, but have resisted it so far, thoughts?? I’m in Southwest Florida. If we didn’t have stabilizer in the pool we would stand with a jug of chlorine and poor it in all day long. (ok, just kidding) But the importance of stabilizer is HUGE. The stabilizer reduces UV evaporation of chlorine. If you are careful and only add like a pound or two a week until the desired level of CYN has been met, then you are technically done and shouldn’t have to worry about the chlorine levels as often ( the stabilizer keeps the chlorine in the pool). So just be careful and add only what is needed. Stabilizers are like salt. They both do not leave the pool unless you drain the water or it gets diluted by rain. Heat pumps can uptick the evaporation rate of the pool. For a visual example, if you run a hot tub on a chilly night the amount of steamy mist coming off the water is going to be thicker than it would be on a summer night. Also, lack of humidity can be a factor of water evaporation. I don’t know where you are in the country, but an Arizona summer is going to be a lot different (and longer) than a summer in Minnesota. it all depends on where you are. Hi, we added a water softener to our house, which is connected with the water we used to fill our pool. We live in northeast florida. The pool is a 24 round doughboy, with an expandable liner and deep end in the middle, half in the ground. We noticed our water levels starting to drop around October of last year. We are losing approximately 1 inch per day. We have checked all of the areas everyone says are prone to leaks. I have not been able to locate any and everything seems to be fine. I did however recently locate a slight drip around the filter around the neck, and not sure if that cause so much water loss. I have since tightened the screws. My question is could the water softener cause a greater amount of evaporation? The pool has only been since Oct 2016. The water loss began about six weeks after we had last been in the pool. I am open for any suggestions!! The water softener would not affect the evaporation rate. Losing an inch a day is a leak, and not something seen naturally even in the hottest months. Out uber-experienced pool tech Dan Dougher, wrote an article on finding leaks in above ground pools, take a look, Finding a Leak in an Above Ground Pool. Need for adding salt: I agree that salt does not evaporate. But, if your chloranator is not properly grounded or possibly faulty it will not produce the correct electrolysis. This could cause the need for adding salt. We have an inground saltwater pool. The first year we moved in, there were three leaks detected- 1. One liner tear 2. Pipe disconnection near pump and 3. We have an in ground pool cleaning system and there was a leak detected in one of the sections (we bypass that cleaning section to avoid the leak). My concern is, we do have to add salt multiple times a year and add water daily. We don’t usually lose more then 1/4-1/2 inch a day. Should I be overly cautious and worry about a missed leak?? We live in Knoxville TN and do have pretty humid summers. You can lose a quarter of an inch of water to evaporation every day in the summer months. That is normal. Not sure what the temperatures are like for you right now, but you should not lose that much water; especially if it humid. All the leaks need to be found and fixed, that is the main thing. Why would you be worried about being overly cautious? So is it a problem that we’ve just by passed one of the leaks and didn’t fix it? We just opened the pool today, so far looks like the water has remained level. I just worry that we don’t lose over the “ok’d” about but still have to add salt 3 times ish a year. If the bypass is permanent and no other leaks spring up then it should be fine. Salt doesn’t leave your pool unless the water drains or it is taken out little by little from swimmers splashing and getting out of the pool. So how much does it cost to keep adding water to the pool? Or better, how much does a pool cost per year for al the water, maintenance, electricity, etc? I’d like to know the annual cost before I decide to have a pool installed in my back yard. We had a bad leak in our old pool liner, and just got the new one in mere days ago. But I am still seeing the water go down in the pool. Yesterday it was about an inch loss, I refilled it, and this morning it was down about a 1/2 inch already. I am wondering if evaporation could account for this. I will do the bucket test tonight but it seems so odd that with a brand new liner we would still be seeing an inch a day loss. Evaporation could account for a quarter of an inch, but not 1-inch. Hi. Thanks for all the good advice here. We are having the same problem with our pool – losing 1/4″ a day, having to fill it back up every week or two, and having to put in lots of salt. I also did the “bucket test” and it showed that the water level in my pool was dropping at a faster rate than in the bucket. I had a question about that though – the water in the bucket is not moving; we have a waterfall which keeps the water in the pool constantly agitated for at least 8 hours a day. Wouldn’t that lead to faster evaporation? Thanks. 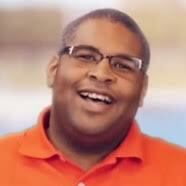 Another accurate test (some might say, more accurate) is the one our friend Jason at Aaron’s leak detection describes in this Poolside Chat: Does my pool have a leak, or is it just evaporation?. Give this method a try and tell us how it goes. What Is Microban and Why Is It in My Cartridge?